We were lucky to see the Whitney Gallery of Western Art. It closed to the public a few weeks after our visit for major renovations.. It will reopen June 21, 2009. 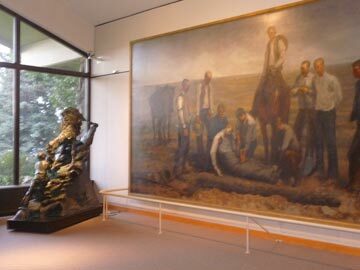 The museum displays major works by such well known artists such as George Catlin, Alfred Jacob Miller, Thomas Moran, Albert Bierstadt, Frederic Remington, Charles M. Russell, Alexander Phimister Proctor, W.R. Leigh, Joseph Henry Sharp, N.C. Wyeth and many others. Pretty much a who's who of western artists. 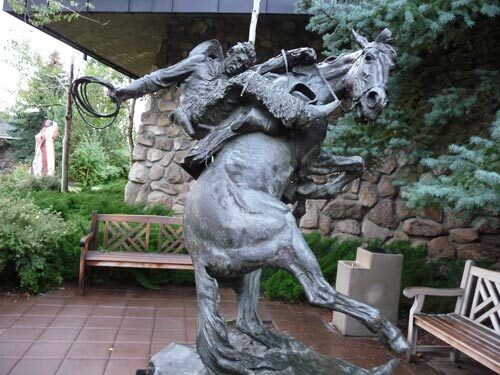 The museum has a large collection of sculptures on display--some indoors and some outdoors. 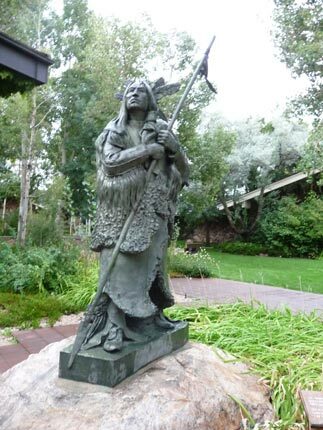 Many of the outdoor sculptures are larger than life and are amazing. We didn't have anywhere enough time to fully appreciate what was indoors and just saw a few of the outdoor pieces. The entire collection is awesome--even if you're not interested in art. 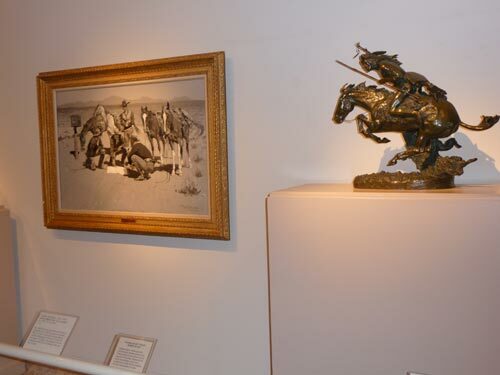 The paintings and sculptures of the west as it was are breathtaking. You could spend most of a day enjoying the art. You can visit Whitney Gallery's web site for more information about the gallery. Be sure to check out Whitney Digital Collection for photos of items in the collection.